The officer, Michael T. Slager, had said he feared for his life because the man took his stun gun in a scuffle after a traffic stop on Saturday. A video, however, shows the officer firing eight times as the man fled. The state charges were announced in a news conference Tuesday evening. The video is graphic and shocking to watch, even after it’s been made clear in recent years that white cops in America face an enormous amount of impunity when it comes to their dominion over black bodies. 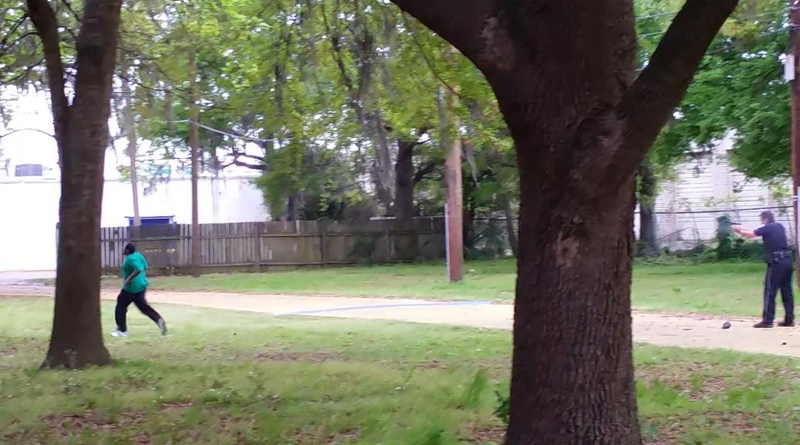 Slager shoots Scott from a distance of 15-20 feet; he then tells Scott, prone on his face and dying, to put his hands behind his back. Scott’s limp hands are cuffed. The video was taken on Saturday. Scott is dead and Slager will be facing murder charges. According to the Times, North Charleston’s population is 47 percent black; the police force is 80 percent white. More about the case here.